Sometimes, if you’re lucky, fandom and fitness can go hand in hand. 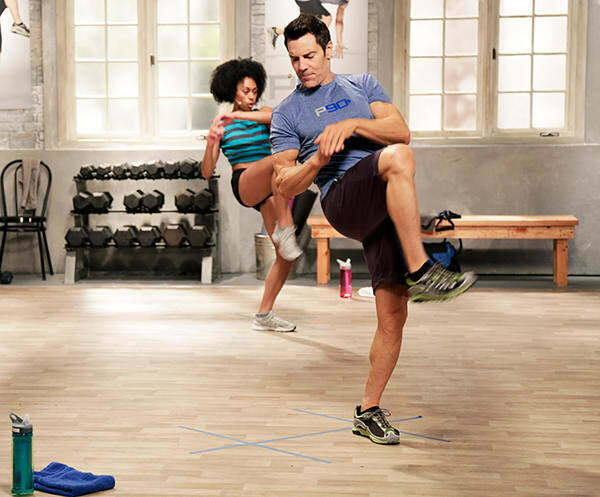 Long before Tony Horton created the P90X series, he was helping musicians like Usher, Bruce Springsteen, and Annie Lennox get in stage-ready shape. Tony continues to be a big music fan, actively seeking out new music through the recommendations of friends and using Shazam to identify songs that catch his ear. These discoveries inevitably make it to his workout playlists. On days when he’s focusing on weights and resistance training, “sometimes I’ll just play a Police playlist or an ’80s rock Pandora channel,” he says. “But when I’m doing cardio, it’s got to crank. For his Beachbody Super Trainer playlist, Tony assembled a program of contemporary alternative hits that mix big guitars with beats designed to keep you on your feet. He also threw in a handful of punk classics that nod to his roots. Below, he walks us through his selections for a cardio workout. Listen to the full Spotify playlist below, and follow Beachbody On Demand on Spotify for more great playlists to pair with any kind of workout.